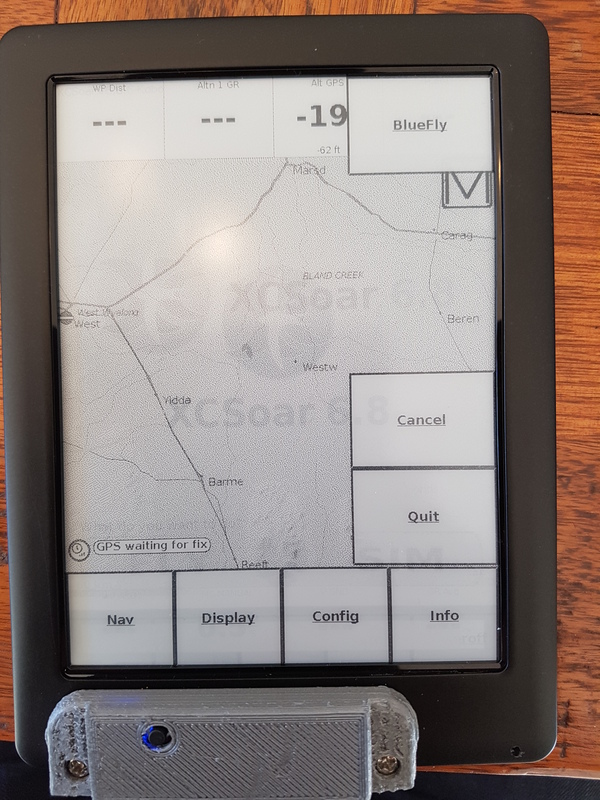 I decided it was time to get a Kobo Touch 2.0 and get XCSoar installed on it, complete with GPS. I chose the Touch 2.0 (Amazon.de). You will need to purchase a BlueFlyVario_TTL_GPS_v11. I chose the TTL, as the USB version is prone to breaking the USB connector. Download and 3D print the cover from ThingVerse. A Soldering Iron Solder and a few tools. A spare circuit board to practice your soldering skills. 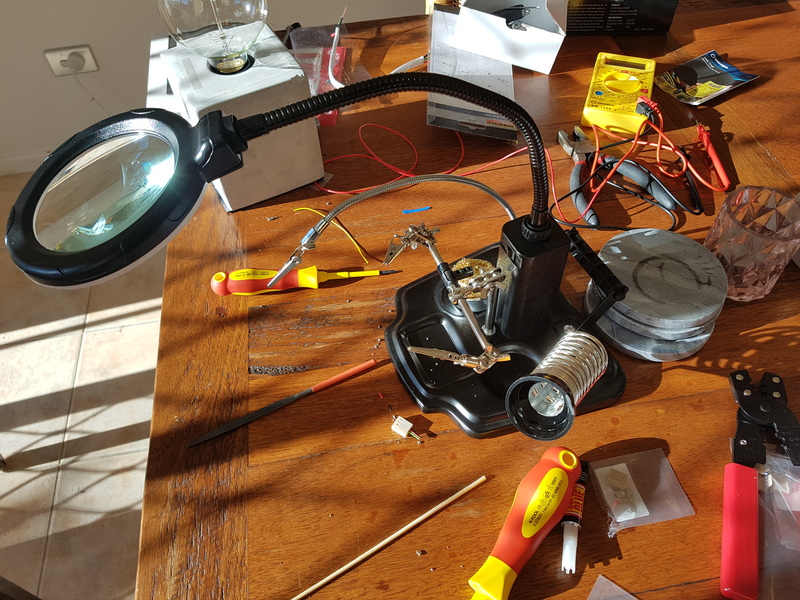 You cannot afford to make a mistake when soldering. 3M x 6mm bolts and nuts, used to fix the cover to the case. It is tricky getting the nut to fit in the small gap on the Touch 2.0. I just drill holes on the side of the Kobo and slide the nut in like a coin slot. Software for the Kobo. You can download it here. That link has pictures and all the software to get the Kobo up and running with XCSoar 6.8. There are detailed instructions you can follow here. The reason for this post, is to compliment the above article with some pictures. Important: The RX on the Kobo Port goes to TX on the BlueFly. I use the screw to ground the circuit (yellow wire). Green Wire goes to V. Black and Red is TX and RX on Kobo and switched around on BlueFly. Use a Linux Operating System to copy KoboRoot.tgz to the hidden .kobo folder and then reboot the Kobo. 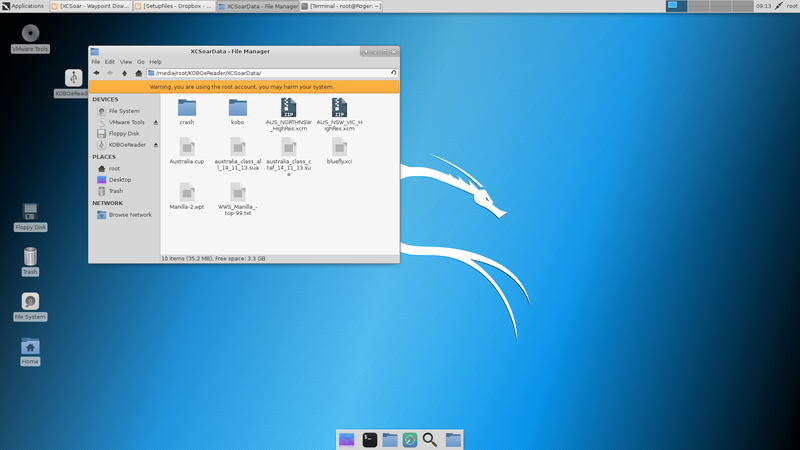 I just take out the SD Card, plug it into a machine with Linux or on Windows with a Virtual Machine running Linux (I use Kali Distro). 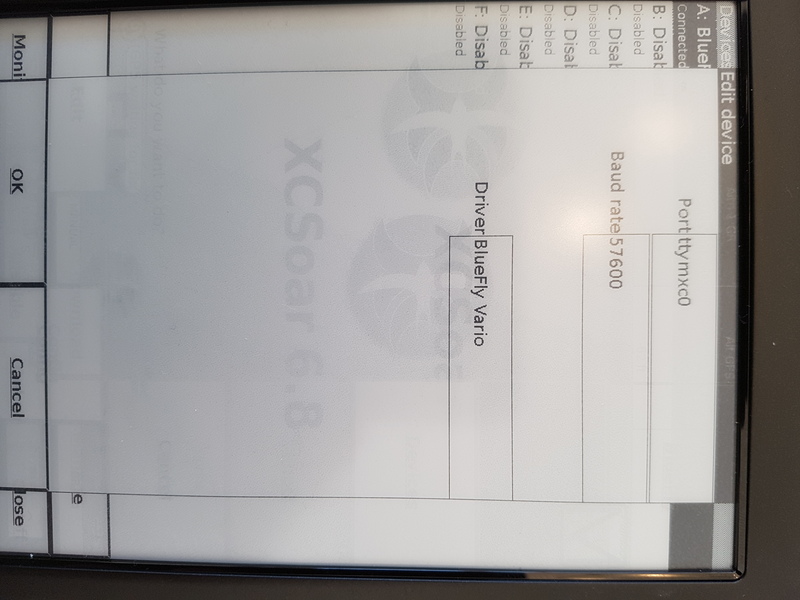 Make sure you go into XCSoar Config -> Devices and set the device settings for the BlueFly Vario. Once done, use the monitor button to check feedback. (Ensure the Vario is turned on, by pushing the button. It will make an annoying sound continuously. )…it was music to my ears. In XCSoar, register the BlyeFly.xci file as an Event in Language/Input. Ensure advance mode is on. This gives you a cool menu for BlueFly where you can set the volume of the beautiful sound it makes. 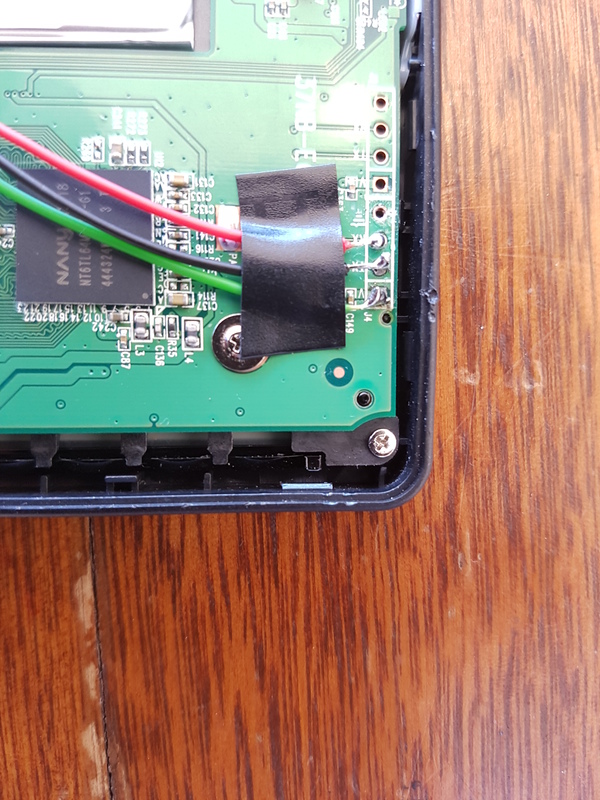 I made two holes on the bottom side of the Kobo, to get the 3mm Nuts in, so I could bolt down the cover. Maybe you can get it working with 2mm bolts and nuts…. Only remove the Circuit Board screws. Do not remove the screws that hold the screen in. Leave the screen in the device during the entire modification process. Keep all wires above the circuit board, else the screen will not function correctly as it relies on a certain amount of pressure around the perimeter of the device. Look carefully under the circuit board, you will see lots of connectors around it. I initially tried to solder from under the circuit board (Easier to solder), but this cause a lot of issues with the screen touch sensitivity. 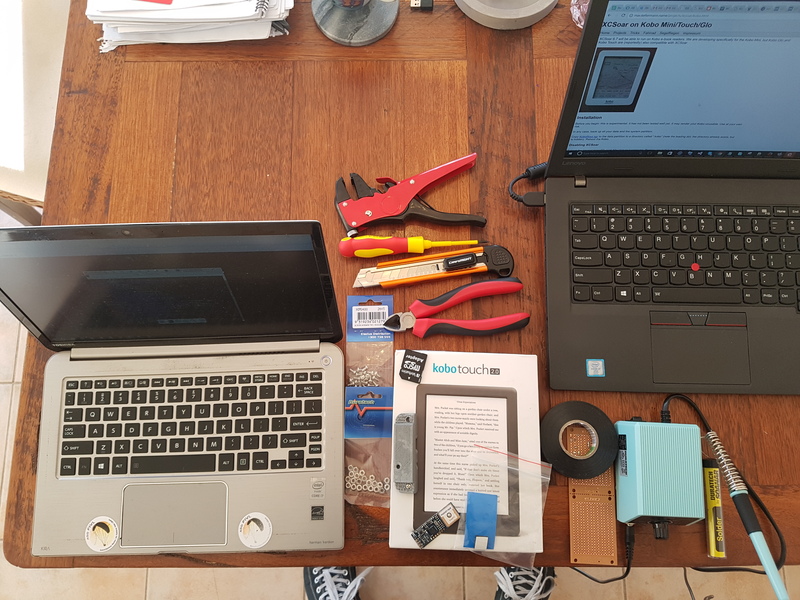 Nickly and the E-Reader still work after the modifications. If yours does not. Restore the SD card from a backup you made and go through the software modification again. e.g. 1. 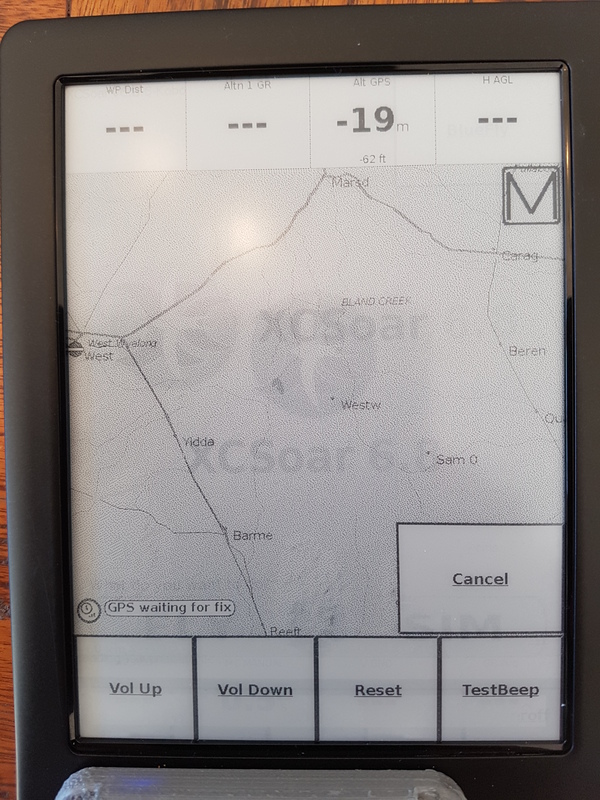 Copy the koboroot file to .kobo -> Reboot -> Customise XCSoar -> Nickel should work again. 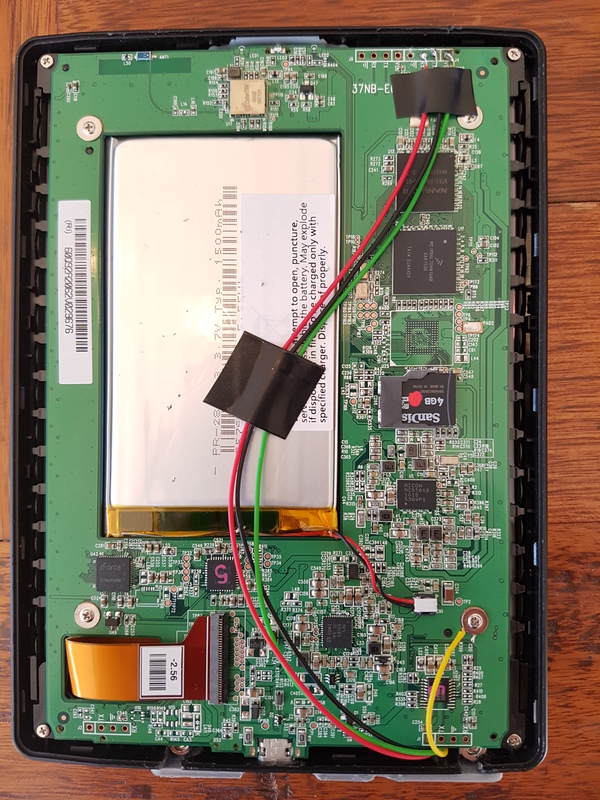 if you ever reset the device with a long press on the power button, it may break Nickel and you can only use XCSoar without the e-reader. The symptom is Nickel will show a black screen.